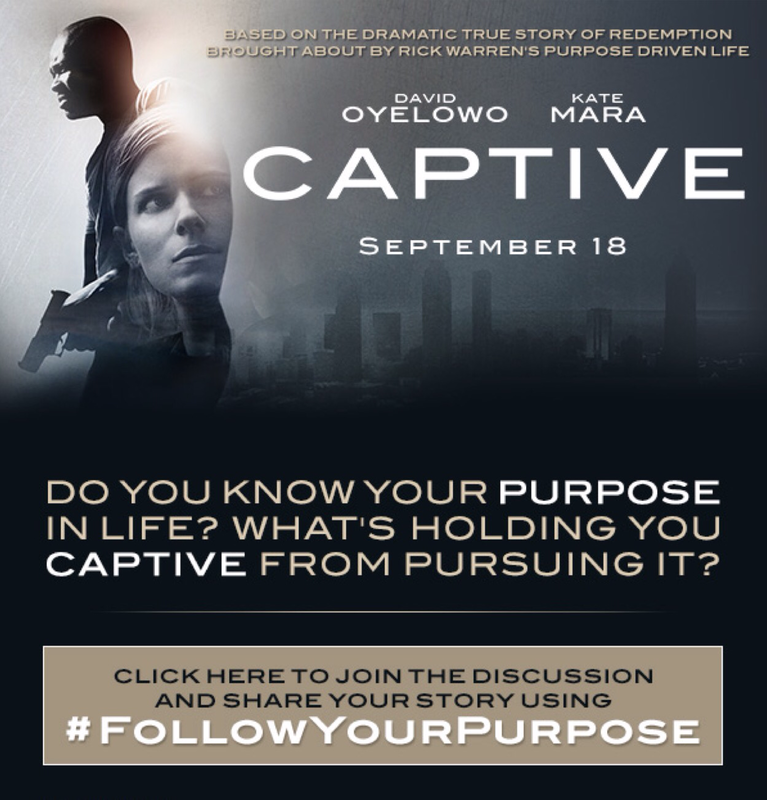 CAPTIVE, based on a miraculous true story that drew the attention of the entire nation, is a thrilling drama about the spiritual collision of two broken lives. When Brian Nichols – on the run as the subject of a city wide manhunt and desperate to make contact with his newborn son – takes recovering meth addict Ashley Smith hostage in her own apartment, she turns for guidance to Rick Warren’s best-selling inspirational book, The Purpose Driven Life. While reading aloud, Ashley and her would-be killer each face crossroads where despair and death intersect hope.